The part of the Sunderbans located in Bangladesh covers an area of six million hectares, consisting of about 200 islands, and is separated by about 400 interconnected tidal rivers, creeks and canals. Various local communities that depend on the Sundarbans for their livelihoods live in villages at the edges of the forest, using it for wood, honey and food. The Ecologist Film Unit - working in association with the Forest Peoples Programme (FPP) - has produced a short film highlighting how the use of the forest by the local indigenous communities is being threatened by a combination of mismangement, corruption and over-exploitation. Speaking in the film, Professor Dr Dilip Kumar Datta, head of environmental science at Khulna University said the national Government was more concerned with revenue than the views of indigenous peoples. The report found that low-cost projects offered communities an incentive to protect the habitats in return for job opportunities and income sources. Such schemes also enhanced ecosystems, restored biodiversity and increase carbon storage, the authors added. The results were published at the start of the UN Asia-Pacific Forestry Week. 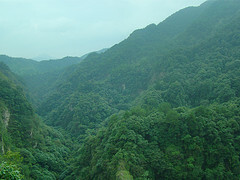 Despite the threats from illegal deforestation, forest fires and climate change, the Forest Beneath the Grass report - produced by the Food and Agriculture Organization (FAO) - said the region had "not only stopped the drastic decline in forest cover of the 1990s", but had actually increased tree cover over the past decade. "The Asia-Pacific region has accomplished this feat of reversing the trend of forest loss faster than any other region in history," said Eduardo Rojas, assistant director-general of the FAO's Forestry Department.